Learn How to Fight like a UFC Fighter, Gain Confidence, Get in The Best Shape of your Life, and Join the Best Team in the Hudson Valley! "I was a frail kid, who never played any sports in school. I didn't have any natural physical talent or athleticism but under the tutelage of Brian McLaughlin and the other coaches At Precision MMA I have achieved my dream and am now a successful MMA fighter. 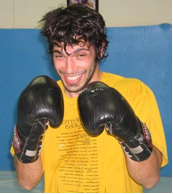 I have competed in several combat sport disciplines, including submission grappling, muay thai kickboxing and MMA. I am proof that you do not need to be a prodigy, if you want to one day become a fighter, you can achieve your goal at Precision MMA." Forcing the Submission in JUST 22 SECONDS! Despite being the underdog Mike defeated hometown favorite Sam Nadeau by submission! 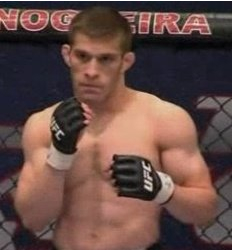 Mike started at Precision MMA as an out of shape college student who never played a sport in his life. Now he's a rising MMA STAR! 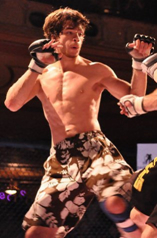 Here's some more about Precision MMA head coach Brian McLaughlin . . . I've been around the game quite a bit, and I can personally vouch for Brian. 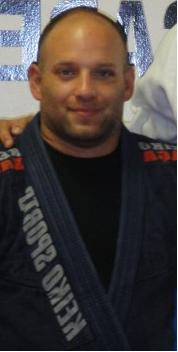 He has a vast knowledge of the sport overall, and specifically BJJ. He has the ability to put into motion the techniques he teaches. I look forward to the days I get to train w/ him, as I'm guaranteed a war! "Brian McLaughlin has some serious Jiu-Jitsu"
"Brian McLaughlin is one of the most talented Brazilian jiu-jitsu and submission grapplers in this country. He is also a patient, articulate and gifted instructor and I highly recommend anyone looking to learn the art of Bjj or self defense to try Brian's class"
"Royce Gracie black belt & Trainer of multiple UFC Veterans"
Brian McLaughlin is the true definition of a martial artist. Whether it be teaching, training or fighting, Brian pours 100% of his heart into it. 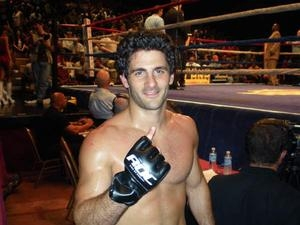 I am very proud to have Brian training as a part of our AMA Fight Club team! Aside from being a great practitioner of the martial arts, I have seen Brian pulling aside others and offering his advice and teachings to help make his teammates better in the middle of practice! That shows what a great teacher of the martial arts he is as well! I would highly recommend training with or under Brian if you are given the opportunity! "Hello! 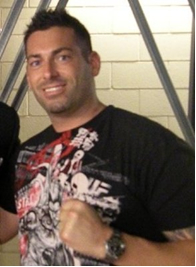 I'm Brian McLaughlin, head instructor at Precision Mixed Martial Arts. Thanks for taking the time to check out my website. Hopefully I will be able to lead you on your martial arts journey, one that began for me back in 1999. Over the past eleven years I have pursued the goal of being a complete martial artist one who understands fighting in all ranges. Back then mixed martial arts wasn't very popular and the idea of having all disciplines under one roof was unheard of. I used to drive to one gym for wrestling, another for Jiu-Jitsu, and another for striking. At one point I was traveling over 200 miles a day across three states and paying over $300 a month in order to be a complete mixed martial artist. Today I am proud to own a school that brings together all styles. Our wrestling is taught by an Olympian, our Jiu-Jitsu by a black belt, our boxing by a golden gloves champion, our muay thai by a pro mma fighter. We are the only gym in the Hudson Valley that has produced champions in wrestling, MMA, boxing, muay thai and Brazilian Jiu-Jitsu. Although our competitive success is rewarding there is more to Precision MMA than shiny trophies and fight stories. I started my martial arts training at age 15. I lacked confidence and struggled with anxiety and low self esteem. I started training Brazilian Jiu-Jitsu as a way to learn how to protect myself. I never could have imagined what a life changing experience I was undertaking. Martial arts gave me a place I belonged and a skill I could be proud of. I learned that I was capable of overcoming the seemingly impossible obstacles of my life by applying the work ethic and positive attitude I acquired through training. Facing and conquering my fears on the mat allowed me to welcome the challenges I saw before me elsewhere. "Precision mma has changed my life"
"Precision mma has changed my life. I stared training I was 220 pounds and badly out of shape in little less than a year of training I was down to 178 pounds and feel great..I recommend training with brian and the great coaches here, its not that same old grind at the gym you will so look forward to coming to the great classes"
He does everything he can to make his students better. "As a teacher he is very involved with his student's progress and does everything he can to make his students better" � I like the feelings of a camaraderie I get at Precision MMA. I feel like the group of regular guys are a family and we all work hard to make each other better and not hold back when it comes to helping each other. I also enjoy the style of teaching Brian uses. It is very personal and he is constantly making sure that everyone in the class from the most skilled student, to the beginner is doing everything correctly. As a teacher he is very involved with his student's progress and does everything he can to make his students better. This is something that I don't get when I trained at other schools." "Jiu-Jitsu has changed my life for the better in more ways than I ever would have imagined a martial art could." "Brazilian Jiu-Jitsu has been instrumental in making me a better person overall. The techniques I have learned and practices have come in handy in a number of occasions of self defense as well as competition. My self confidence has increased and the people I met have become some of my closest and dearest friends. Jiu-Jitsu has changed my life for the better in more ways than I ever would have imagined a martial art could." "A genuine want for you to succeed"
"As a mom I have to say that Precision MMA is the best kept secret of the Hudson Valley. My son has trained in other Martial Arts schools for a total of 7 years and they can't compare to Precision, I am in awe not only of the instructors but also the members @ Precision. There is no competition between training partners and everyone has a respect and a genuine want for you to succeed. They couldn't be more giving! The instructors are constantly training and learning themselves which brings a level of excitement that keeps him coming home from class excited to return." "I couldn't ask for a better place to train." "Training at Precision MMA has been nothing short of awesome! Not only do I get top notch training from an MMA champ that keeps me in great shape, I've met a great group of training partners that I'm proud to call friends. I couldn't ask for a better place to train"
"The training environment is safe and friendly." "Precision MMA is a great school to train at. The training environment is safe and friendly. Brian, the head instructor is a wealth of knowledge. He teaches relevant techniques and breaks it down into a simple to understand way. I would recommend the school to anyone seeking a solid place to train at in the Hudson Valley"
"I've been in martial arts for 20yrs and this is by far my favorite gym." 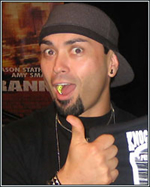 "I like Precision MMA because it's a good group of guys, the type of gym were you know everyone there has got your back. I've been in martial arts for 20yrs and this is by far my favorite gym and the instruction is best I've ever had"
I'm brand new & never trained in any martial art before. Do you have a program for me? YES! Most of our students come to us without any prior martial arts experience, often without even exercising in years. Our basic classes are very beginner friendly and our instructors ensure that every student is working within their abilities. Our training is cooperative and students are encouraged to ask questions. You WON’T be left behind and you WILL achieve your goals! I'm looking to get in shape. Will I get a good workout in class? YES! Precision MMA is guaranteed to get you in the best shape of your life!Our curriculum is both fun and challenging and will take you to new levels of health and fitness. We have helped people of all ages from all walks of life lose weight and feel stronger than they ever thought possible. NO! safety is always our highest priority, New students will only begin controlled sparring once they are prepared to do so. Experienced students and instructors will help to guide new students through drills and techniques in a safe and controlled fashion. YES! Most of our students come to us without any prior martial arts experience, often without even exercising in years. Our basic classes are very beginner friendly and our instructors ensure that every student is working within their abilities. Our training is cooperative and students are encouraged to ask questions. You WON'T be left behind and you WILL achieve your goals! We have classes in Brazilian Jiu-Jitsu, Boxing, Judo Wrestling, Muay Thai Kickboxing and Mixed Martial Arts. Some students train only in striking others in grappling and many of our members train in everything. We encourage students to try out all of our classes and see which ones work for them. YES! We offer classes 7 Days a week with afternoon, evening, night and weekend classes we can fit into anyone's schedule! If I want to compete one day, can you guys prepare me? Competition is a positive goal. We ensure each competitor is well prepared and ready for the road ahead. Precision MMA has produced champions in MMA, Muay Thai, Boxing, Wrestling, and Brazilian Jiu-Jitsu. 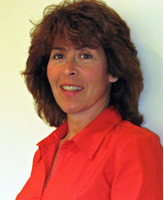 Our instructors are all successful competitors - our program has proven results. I'd love to train, but am I too old (or too young)? At Precision MMA we pride ourselves on giving great martial arts instruction to people of all ages. We have members starting as young as 7 and others continuing training into their 50’s. "But There MUST Be a Catch"
There is no catch. 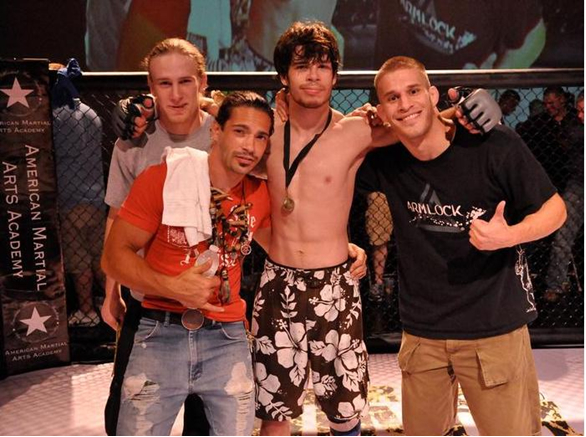 We are hands down the leading mixed martial arts gym in The Hudson Valley. No tricks - just 30 Days Free to try it out If for any reason after 30 days you don't like our program, you can walk away with absolutely no obligation. I want to make your free trial as easy as possible. Are you worried you may feel awkward trying your first beginner group class? Don't worry, before trying out any group classes, we are going to offer you a FREE private lesson. That way you will already have an idea of what to expect and feel more comfortable with the training. And on top of that, we are also going to give you a FREE video about our gym and some of our accomplishments. How about the equipment? You get to borrow it from us. There is literally nothing you have to buy or pay for in your 30 day free trial... and you can walk away from the free trial at anytime! -3-Time AKBF Muay Thai Champion at 145 and 155lbs. Due to Our Incredible Service, Reputation and Experience, Precision MMA members travel from across the Hudson Valley to train at our MMA gyms and schools. We have Members enrolled from Poughkeepsie, Millbrook, New Paltz, LaGrangeville, Hyde Park, Pleasant Valley, Newburgh, West Point, Highland, Rhinebeck, LaGrange, Fishkill, Beacon and Hopewell Junction to get this area's very best Martial Arts Classes, Training and Instruction. Precision MMA Gyms in Dutchess County, NY. Precision MMA in LaGrangeville offers instruction, lessons, classes and training in MMA, Muay Thai Kickboxing, BJJ, Boxing and Mixed Martial Arts in the Hudson Valley.